Over thThe law enforcement agencies of the United States including the police and the FBI create records to document arrests and incidents. There are a number of different police records created and these are all important. Not all of these records are available to the public and there are good reasons for this that we will discuss. The types of police records create include arrest records and the reporting of incidents. A log of arrests can find their way into the public domain. When police respond to incidents these logs are often accessible as well. Then there are reports from the coroner’s office and warrants for search that have public access in the main. Police and other law enforcement agencies do not have the power to charge people with crimes. This is the responsibility of prosecutors and the district attorney’s office. The police can arrest individuals and investigate crimes and they create records of this activity known as police reports. Not all of these police reports are viewable by the public. They do not come under the jurisdiction of the courts so there is no obligation to make them public. It is very unusual to see investigative police records in the public domain. A report of an arrest will include all of the relevant details. It is up to the government of the state concerned as to whether some or all arrest reports are accessible to the public. In some states these will not be available publically. When a citizen makes a call to the police for assistance the details of these incidents become incident or crime reports. Law enforcement agencies do not have to share these reports with the public. The public records laws of each individual state determine making police records public or not. In many cases there are specific disclosure rules and a lot of records won’t appear in the public domain. Even if a state allows the public sharing of certain police records, law enforcement agencies have the right to overrule the sharing of certain records if they believe that lives will be at risk or investigations compromised by doing this. This means that a police department has the final say over whether or not certain police records should end up in the hands of journalists for example. Even if they provide reports to the press there will often be certain information removed considered too sensitive. In some states public access is available for most police reports but sensitive cases still pending will remain secret. There are other states where the public has no access to any police reports. Court records are in the public domain. When you search on a court file you may find that a police report is associated with it which you can read even if the police do not want this to be public. Law enforcement will usually obtain an arrest warrant to apprehend a suspect. A judge normally sanctions this and the police make a request after investigation of a crime. They have a suspect that they want to arrest in a particular place and so they need an arrest warrant. The process for arrest warrants is normally the same. Law enforcement discusses the case with a prosecutor who will then persuade a judge that the suspect was the likely perpetrator of the crime. A judge will usually sign an arrest warrant on the advice of the prosecutor. Most law enforcement agencies do not want arrest warrants made public. Police departments create arrest logs that show the full names and addresses of individuals arrested by officers of the law. They also include other details such as where the arrest took place and other circumstances. 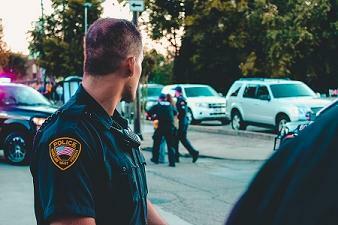 The police departments use their discretion with incident logs in the public domain. They will not release information that would put any individual in danger or would compromise the successful conclusion of a particular investigation. A search warrant for police needs approval from a judge. As judges approve search warrants they are court records and therefore public records. There is usually a lot of information about the case under investigation in a search warrant. There are some police records in the public domain but they can be really difficult to find. If you wanted to see if an individual had an arrest record for example it can take a great deal of time and effort to discover this through public websites. 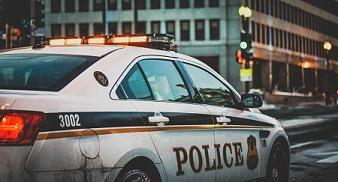 The best way to access police records in the United States is to use a high quality online background checking service. These companies have access to police records all over the country and tie them specifically to individual profiles.